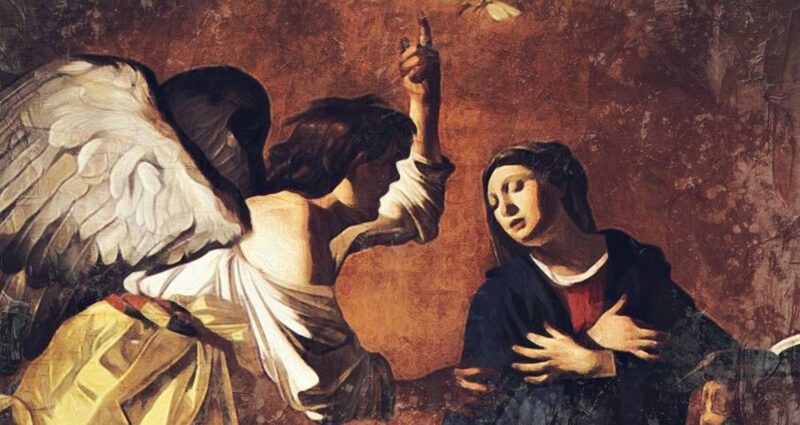 The Feast of the Annunciation is one of the most important feasts in the Church Calendar. It celebrates the moment when the angel Gabriel declared to Mary that she would conceive and become the mother of Jesus. It celebrates the actual Incarnation of Our Saviour — the Word made flesh in the womb of His mother, Mary. In this podcast, we reflect on this principal Marian feast day with Auxiliary Bishop of Sydney, Bishop Tony Randazzo. He reflects on the point that Mary says yes to the Living Word of God Jesus Christ becoming one with her, so that we too might become one with him. When we say we have faith, we’re saying that Christ is working in our midst. Christ has reached into our lives. Christ has plunged into the human condition. And turns us around. Lifts us up. Draws us into His own heart and makes us a new and fragrant offering to God the Father. 1. Does my faith urge me to push on towards a life of holiness? Am I seeking health, happiness and holiness in the Lord? Mary says ‘yes’ to God, that He might become one with her through the Word made Flesh, so that we too may become one with Him. 2. How can I give God my full ‘Yes’ with faith, as Mary did, so that others may become closer to Him?